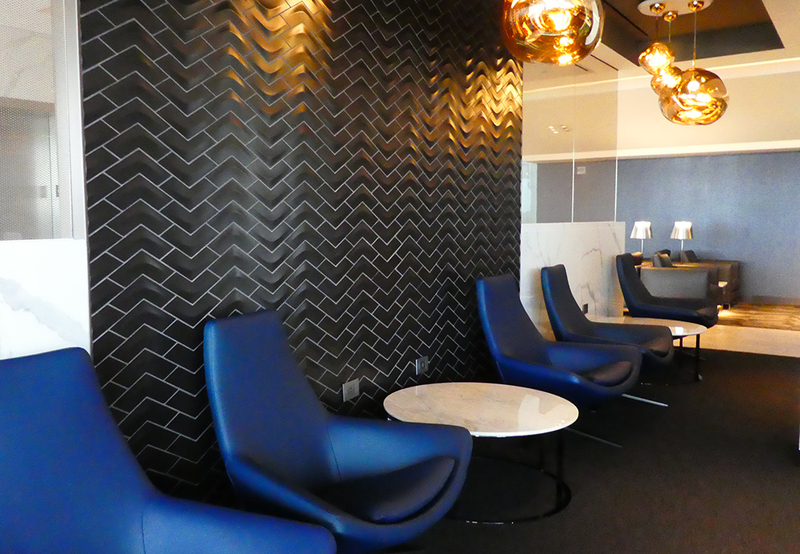 United Airlines Polaris Lounge – Fish Construction, Inc.
A luxurious new Polaris Lounge for United Airline’s elite guests is now open in Terminal E at Houston George Bush International Airport, available exclusively for First and Business Class passengers on international long-haul flights. 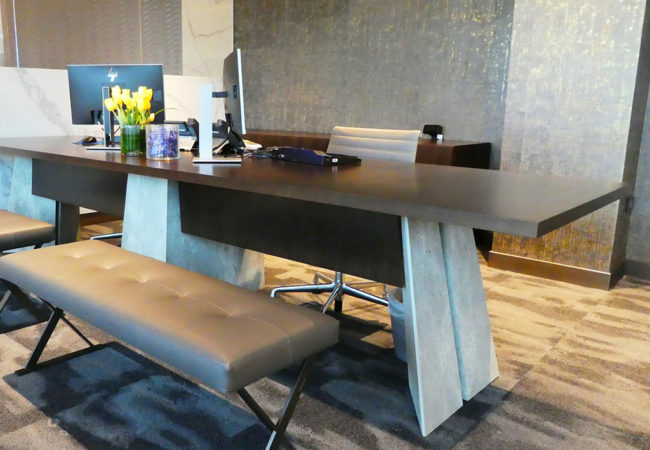 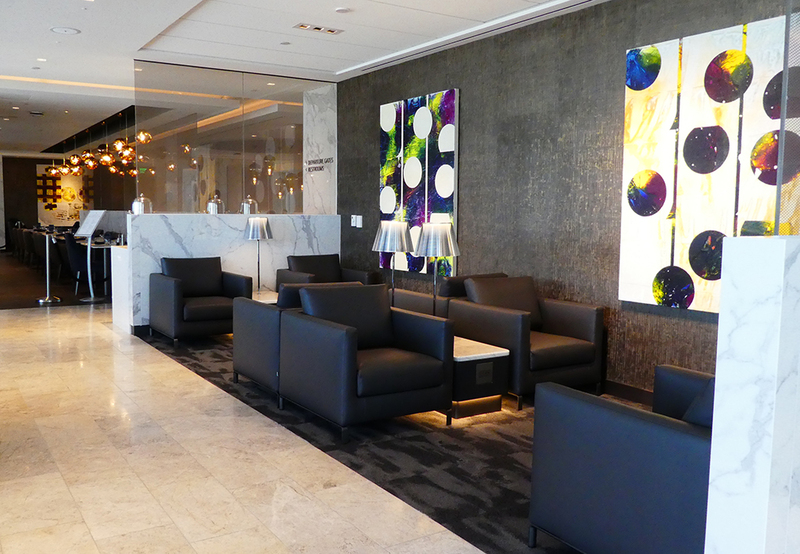 This comfortable sanctuary offers spacious seating in a variety of options for relaxing, working or visiting. Polaris offers elevated amenities including upscale food and beverage choices, and restaurant-style seating with a la carte menu service. 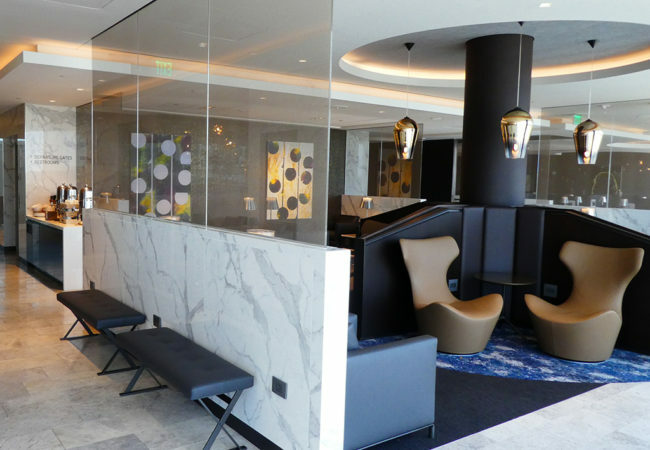 Saks Fifth Avenue towels and other deluxe products for guest use can be found in the shower and sleep pods in a spa-themed quiet area. 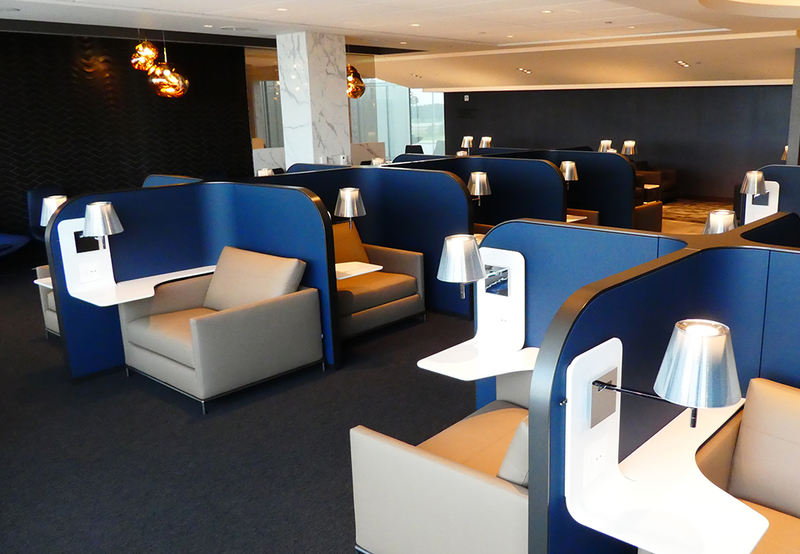 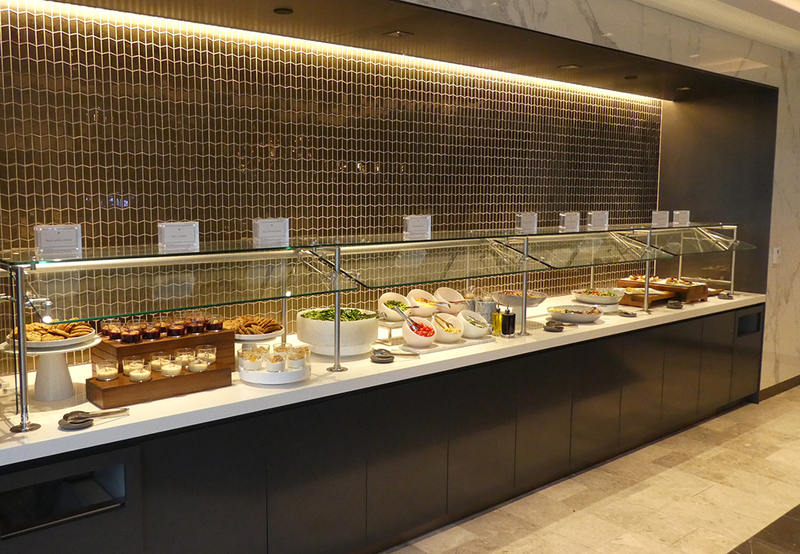 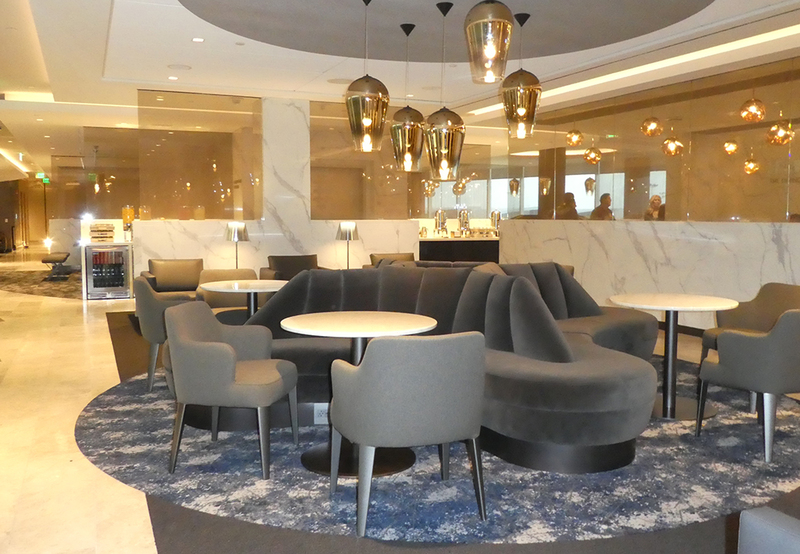 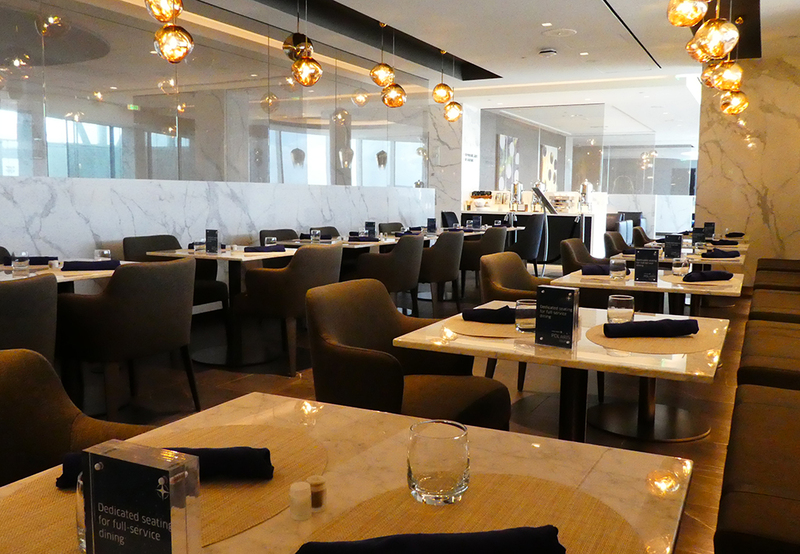 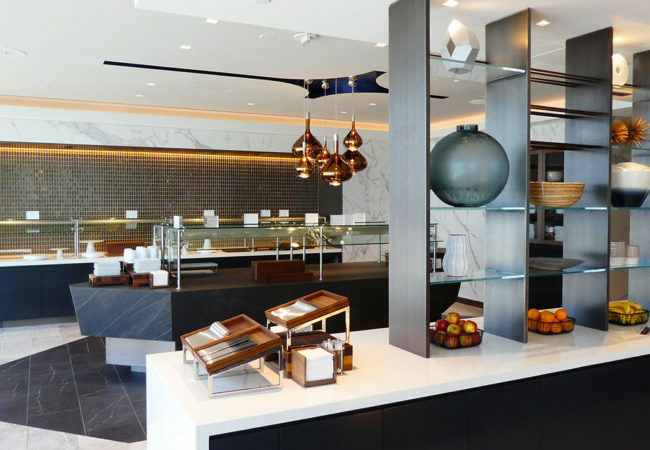 FCI fabricated and installed the interior fit out using high-end finishes and materials including check-in desks, customer service desks, dining, bar and buffet areas. 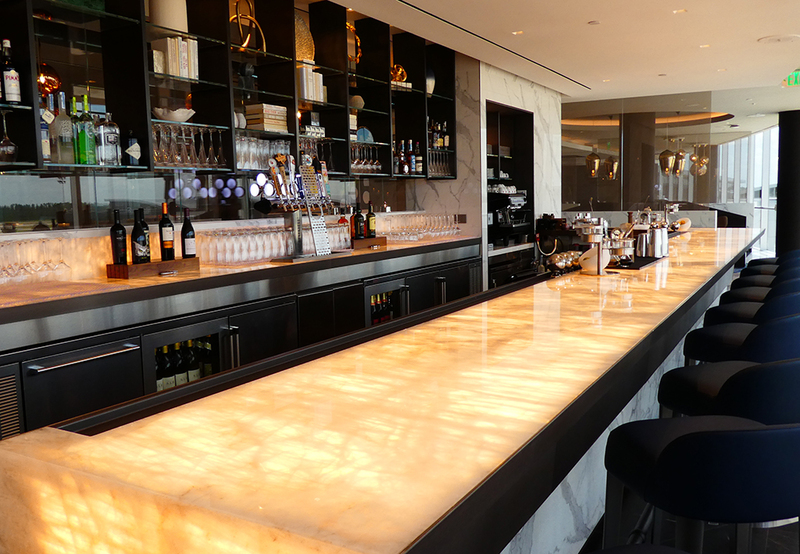 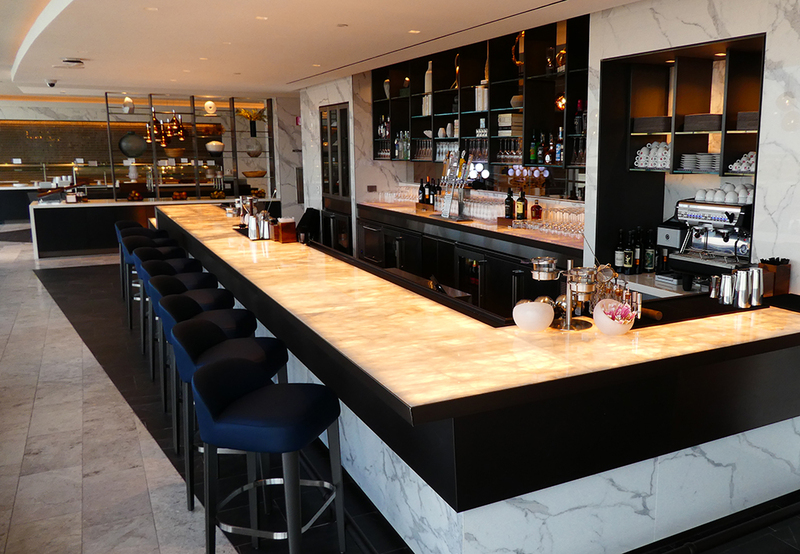 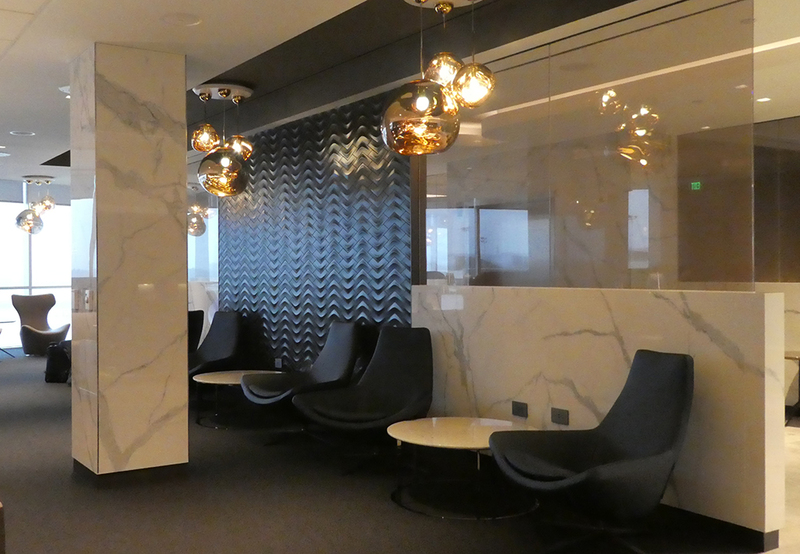 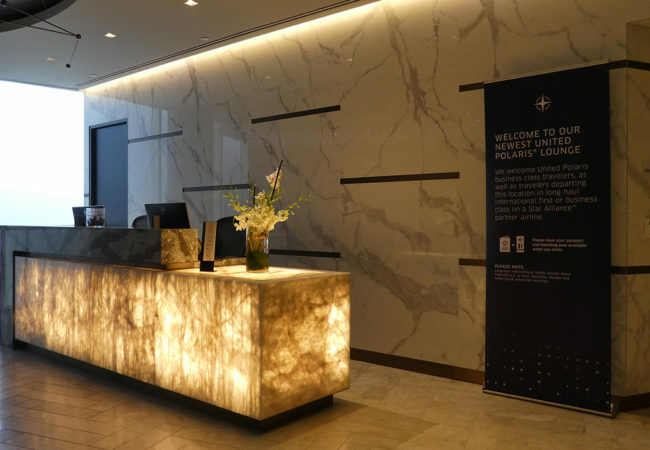 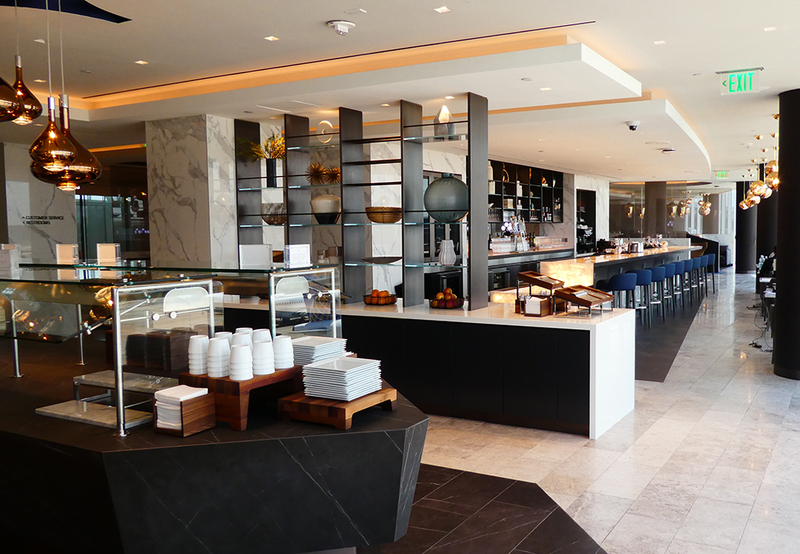 The check-in desks and bar areas incorporated gold-flecked Cambria Calloway quartz and back-lit Fairbanks Quartzite, creating a warm and inviting tone. 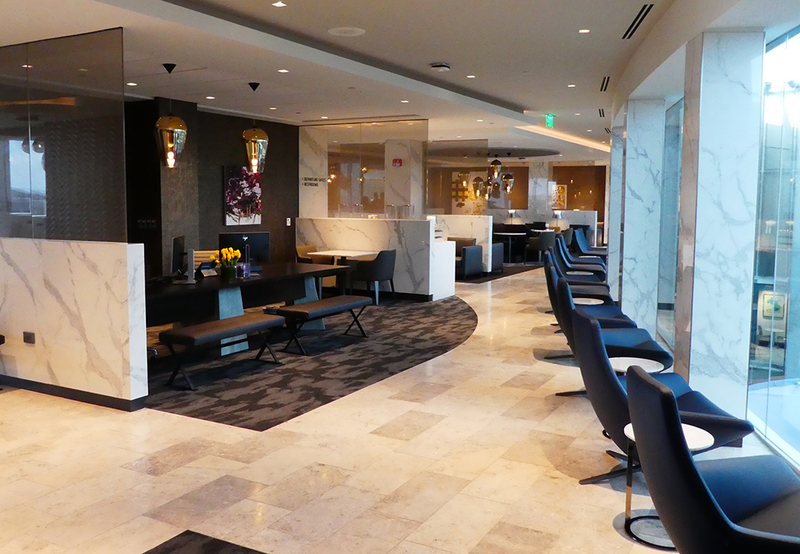 A customized metal finish used to create a brushed antique bronze color further complements the lounge aesthetics.